"The next best thing about finding a great plugin is finding a plugin with AWESOME support..."
"That’s a wonderful plugin. Did I mention that customer service was fast, friendly and useful?" "The plugin is simple, but really amazing. It does everything is supposed to do. Five stars!" 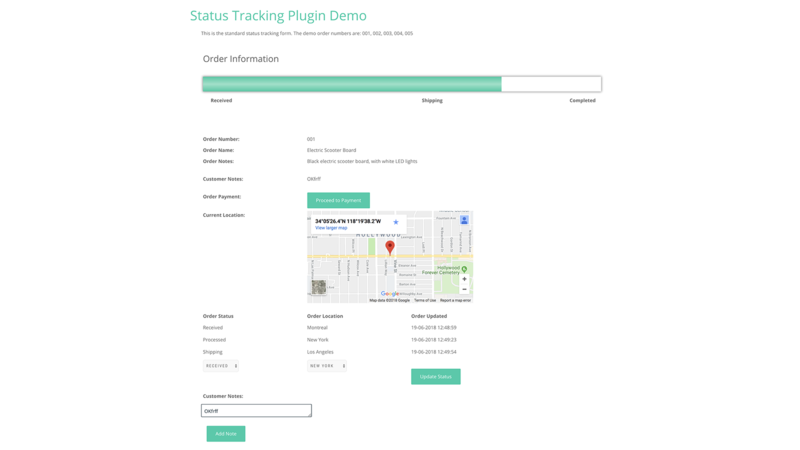 There are many options available in our order status WordPress plugin for customizing the functionality and look of your orders. 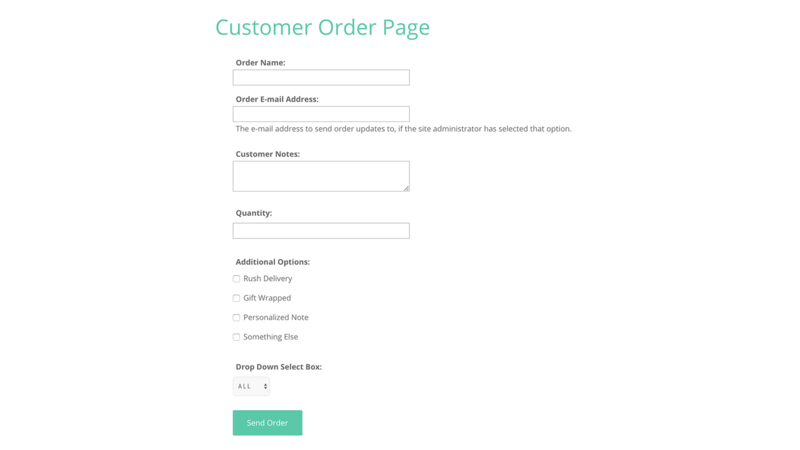 With multiple styles and layouts, as well as an array of advanced features, you can set up your orders to work how you need. There are also styling options that let you choose the colors, element sizes, text and more. And you can even add your own custom CSS. All of this allows for a seamless integration of the plugin into your theme and site! Add the perfect information to your order! 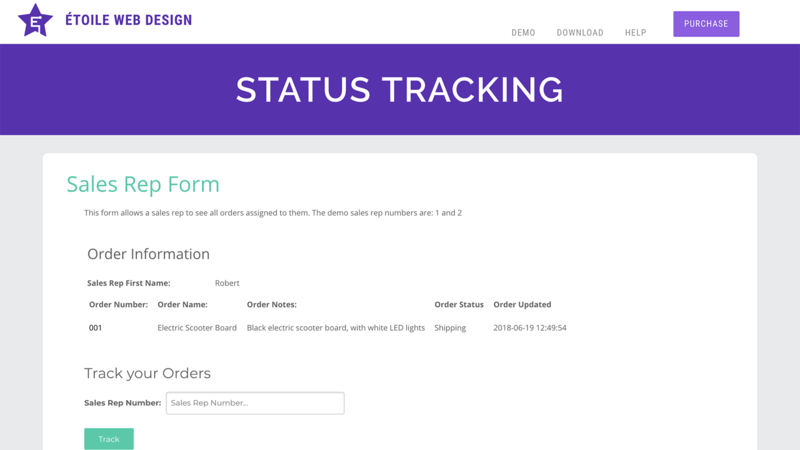 Create fields like expected delivery date, product dimensions, tracking number, or display a photo of the order! 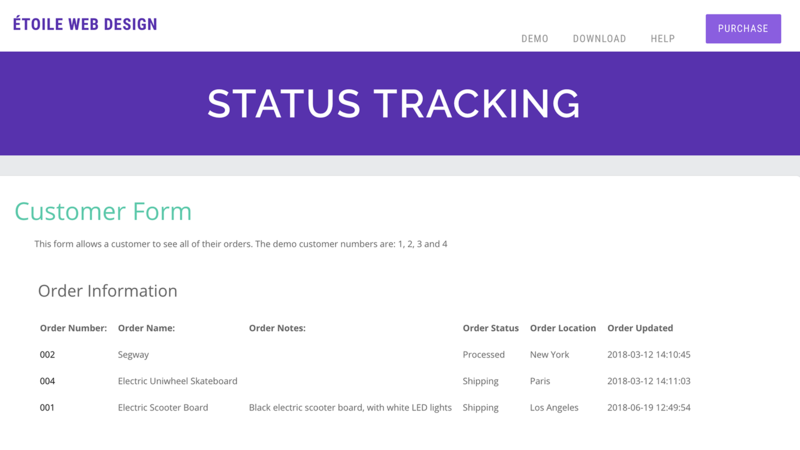 Our order status WordPress plugin allows for smart status management! Create customers and sales reps then assign orders to them. Customers can see their order history, sales rep can access their orders!